Our Hosted Call Center supports the reporting needs of any team size, adding to the power of our VoIP business solution. Reports range from a basic agent and queue performance statistics via the Web Portal and daily emailed reports, to advanced on-demand reports and real-time monitoring of Call Center Agents and Queues using the desktop clients. Incoming call details can help forecast staffing requirements to meet anticipated call volumes. Call centres can develop customer experience management tools by using reports that effectively manage agents and monitor Key Performance Indicators (KPIs) on their queues. Account Codes is a method of tracking calls by dialed code and is the perfect solution for Call Centers dealing with high volume traffic. Call Centres that regularly handle large call volumes can encounter, on occasion, chargeback and fraud situations and having a competent Account Code system can help you shed light in this area for hosted voice solutions. With BroadConnect there are no limits to the number of calls recorded and no limit on the length of each call with our Call Center phone systems. Recorded calls are easily managed, catalogued, and retrieved, and can be played back from archives without the need for additional hardware or software. This architecture allows for changes in the business size and the number of calls recorded and there are no restrictions on the number of seats, or the recording time, which is something you would expect from one of the best business VoIP providers. Call recording supports organizations with multiple locations with one single point of access. All recorded calls are securely stored in one web location and can be accessed through the web from any location. Our architecture allows for changes in the business size and the number of calls recorded and there are no restrictions on the number of seats or the recording time with BroadConnect as your VoIP Trunk Provider. Recorded calls and calls in progress reports can be accessed through a browser and multiple data points such as; the telephone number, date or time, and other filters provided by the VoIP telephone system. Supervisors can listen to customer service calls as they are being recorded without the call participants hearing any alert. 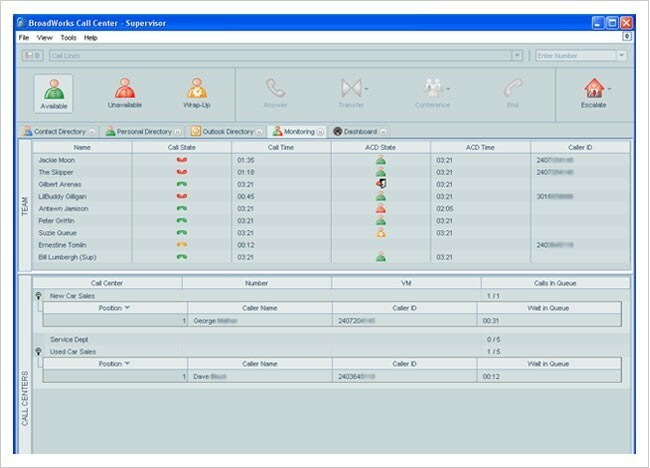 Dashboard – Summarized recorded calls are displayed on a dashboard and offer the user an overview of all their recorded call traffic as well as system statistics. Calls in Progress – Users have the ability to monitor calls in progress. This feature is particularly useful for training, order verification, client time-logging or when unusual usage has been detected. Recorded Calls – They are displayed in an easy to use browser-based interface. Comments – Users have the ability to place text comments, which becomes a searchable field, on specific calls. This is useful in situations where a reference number, case number or name must be associated with recorded calls. Annotation – Users have the ability to playback calls and place markers in the call with text comments as well as to upload documents associated with a particular recorded call. When reviewing a call, the user can go straight to the comments that need to be reviewed. Categories – Categories allow the user to create their own user-defined categories and associate them with recorded calls. This is a searchable field. Categories are critical for associating marketing campaigns with calls in a call centre facility. Alerts – Alerts provide e-mail notifications based on the unique needs or attributes of the recorded call. This is valuable in cases for emergency and security conferencing situations. The user is alerted as soon as a call is initiated. Non-proprietary Media Player – recordings are accessible by standard media players such as Windows Media Player® or Quicktime®. Customised Call Recording – Determine which calls you want to record by setting recording preferences for each extension. For example, record only those calls concerning particular telephone or account numbers, or from certain locations, or during certain times or shifts or on a particular day of the week. Call Archival – You can save calls using a multi-select and download functionality or an FTP client to save the call on your system. Permission-Based Access – Administrators have the ability to create system users with limited access to calls based upon the call extension. This allows the call centre manager access to only their team’s calls. All other calls are inaccessible based on permissions. Privacy and efficiency are both ensured.